Wood is one of the most eco-friendly and aesthetic building materials available today, and it’s always nice to see it used to its full potential. 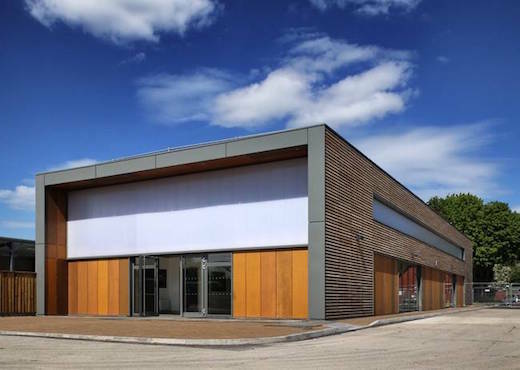 One example of such architecture is certainly the new agricultural warehouse recently completed on the campus of the Herefordshire and Ludlow College in the UK. It proves that wood can easily be used to construct large buildings and allows for doing so quickly and efficiently. 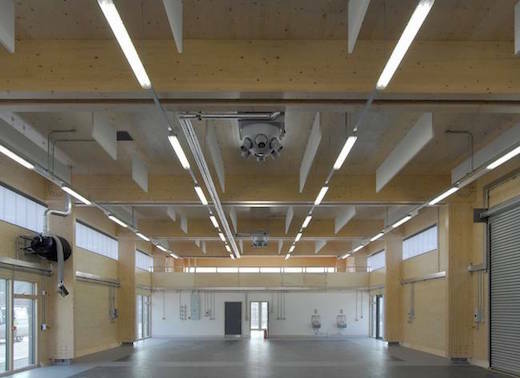 The warehouse was designed by Hewitt Studios and is made out of Cross-Laminated Timber (CLT). The designers were on a budget, and on a tight deadline, and they succeeded in constructing the warehouse for about $2300 (1,500 GBP) per square meter. 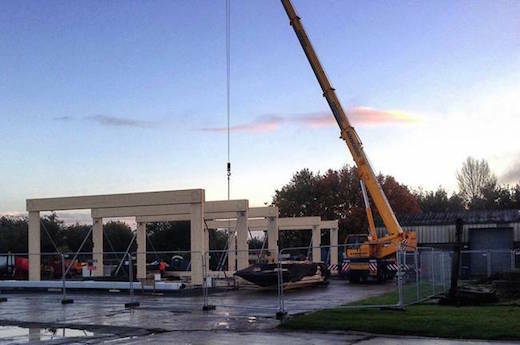 The building was completed in 6 months, while five days was spent erecting the timber frame of the warehouse. They used specialist M&E equipment, such as vehicle exhaust extraction in the building process. The frame is highly efficient and was made using a standard CLT panel in square-cut sections, with basic, yet aesthetic connection details. The portal frame, roof panels and wall were made out of 200mm thick CLT columns and beams. As a result of this, the entire structure could be cut from a single board type in one operation, which constitutes true ‘flat-pack’ fabrication. 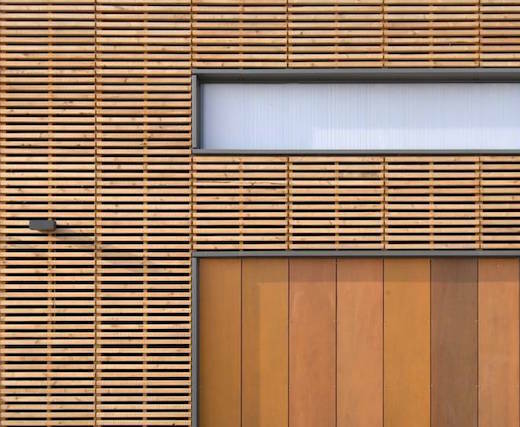 In the choice of cladding materials they made use of the College’s natural resources, such as western red cedar, which was forested from the 150 acres of woodland surrounding the college. The wood was cut to size on-site not far from the warehouse. They also used variegated panels of FSC-certified marine plywood for the lower level of the building. They used polycarbonate glazing at the higher level of the structure, which allows in plenty of natural daylight. Warehouses usually aren’t built with such care, which makes this one even more special. 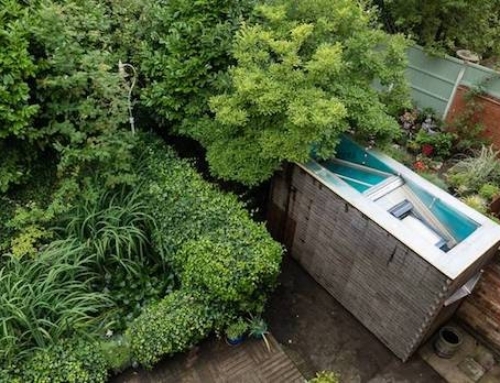 The project shows that even such structures can be build sustainably and at a lower cost compared to prevalent, carbon-intensive methods of building them. Universities are able to take advantage of the greenest of technologies only because their entire business model is built on the angst of concerned parents and government subsidy. In the real world where cost/benefit rules, 90% of the greentech on university campuses won’t fly.